Headdies designed a pipe with the carb (choke) on the end opposite the mouthpiece, as opposed to on the side. The general idea is to get as haughty a hit as possible by holding a finger over the carb while lighting the bowl and sucking in until the chamber is full, then releasing your finger and inhaling to clear the chamber. Available in Blue, Dark Green, Gold, Light Green, and Glow. 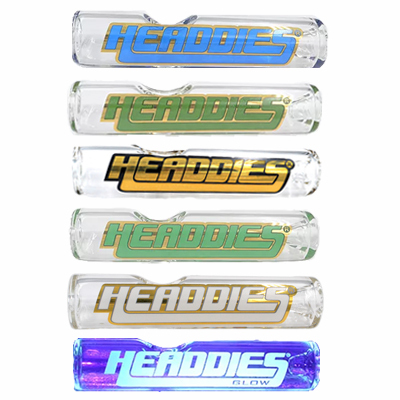 These Headdies steamrollers pack a milky hit!